She was a pupil of Blanche Marchesi. 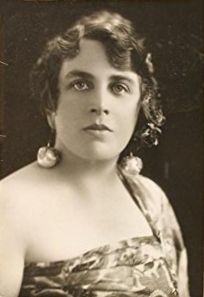 In 1908 she appeared in the performances of Nibelungenrings at the London Covent Garden Opera under Hans Richter. Then she became known as a member Carl Rose Opera Company. As a member of this troupe she travelled around England. There she sang from 1914 to 1920. Later she sang with British National Opera in London. Early she had fallen ill with an incurable nervous suffering and forced to give up her career. She lived in a sanitarium like Lina Bruna Rasa and Jeanne Gordon. Her repertoire included Carmen, Amneris in ''Aida'', Dalila in ''Samson et Dalila''of C. Saint-Saëns, Marthe in ''Faust'' of C. Gounod, Brangäne in ''Tristan und Isolde'', Fricka in the Nibelungenring and Kundry in ''Parsifal''.